20 September 2018, 6 p.m. Museums are no longer temples to worship consecrated certainties, but forums where plural opinions can be contrasted. The latest tendencies in useology advocate critical discourses, with analysis marked by interrogations, irony and subjective points of view. Furthermore, another strategy to reinforce diversity of stances consists in making museum visitors aware of the changes experienced through history, even in the presentations of permanent collections. Older museums have greater chances to emphasize fluctuations in their trajectories, instead of boasting a continuous evolution which may convey a fabricated scheme of progress. Thus, keeping on show different mementoes and historic reconstructions of former displays, museum professionals partake with lay people some of the challenges of their job. Their aim is to emphasize how relative are questions of taste and interpretation, how museography is, indeed, part of our cultural heritage. J. Pedro Lorente - professor of Art History at the University of Saragossa (Spain). Scholar of numerous research grants including Spanish Academy of Rome (1988), the Università Internazionale dell’Arte, Florence (1989/90), the École du Louvre, Paris (1990/91) and the University of Leicester, UK (1991/96). Leader of several research projects related to museums, public art and art criticism. Vice-president of AICA (International Associations of Art Critics), member of the board of AECA (Spanish Association of Art Critics) and secretary of AACA (Aragonese Association of Art Critics). Author of the anthology 'Historia de la crítica del arte. Textos escogidos y comentados' and the book 'Los museos de arte contemporáneo: noción y desarrollo histórico'. ‘Museum of the avant-garde or avant-garde museum? 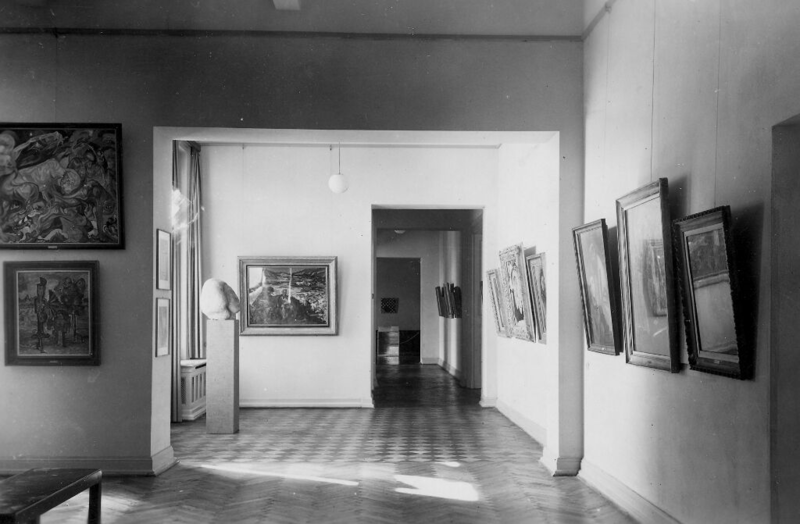 Collecting the radical’ deals with the question of collecting art as an avant-garde practice, the beginnings of avant-garde institutionalization and their meaning for contemporary museology. This event refers to conference held under the same title, which took place in Muzeum Sztuki in 2017. Project will be recapitulated in 2019 with a book including chosen texts from the conference and lectures.